Here’s a quick quiz: which Italian city, lying at the centre of one of the world’s most celebrated coastlines, was Venice’s great medieval superpower rival, brought the Black Death to Europe, Columbus to the Americas and soccer to Italy, played a leading role in both the unification of Italy and the great Italian transatlantic emigration, and boasts architecture celebrated by characters including Peter Paul Rubens and Charles Dickens? 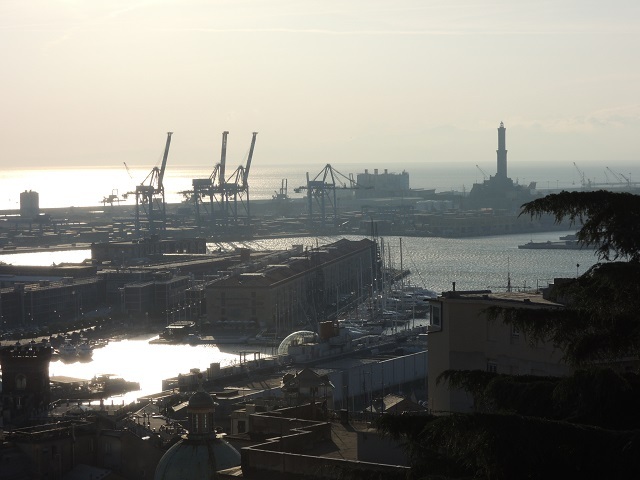 The answer of course is Genoa, Italy’s forgotten merchant-pirate superpower. While the tourists flock to well-known gems like Venice and Rome, Florence and Verona, the charms of Genoa are rarely appreciated. This is a shame as the city is deeply rewarding for any visitor who cares to scratch its surface. 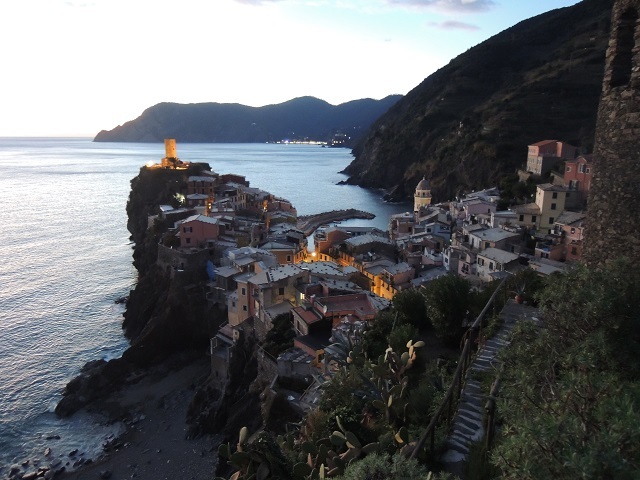 The first thing Genoa has to offer is its location. It lies at the centre of Liguria, a thin, moustache-shaped crescent of mountains that hugs the coast between Tuscany and the French Riviera. 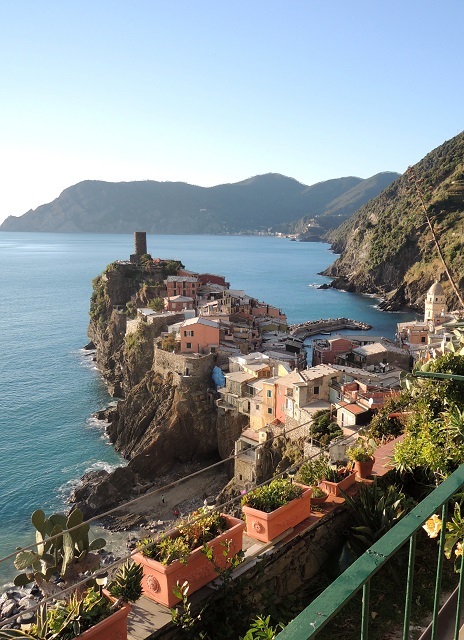 Liguria owes its visual beauty to the way these chunks of rock fall precipitously into the Ligurian Sea. 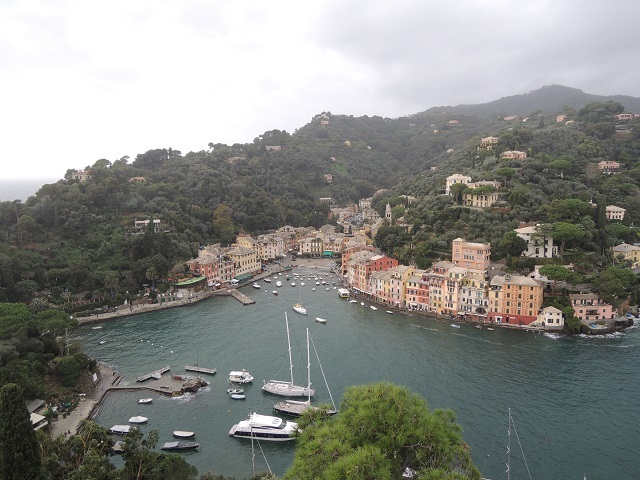 At the eastern end the villages of the Cinque Terre cling limpet-like to promontories above the waves, and closer to Genoa the tiny harbour of Portofino is a sublime pastel-coloured haven. 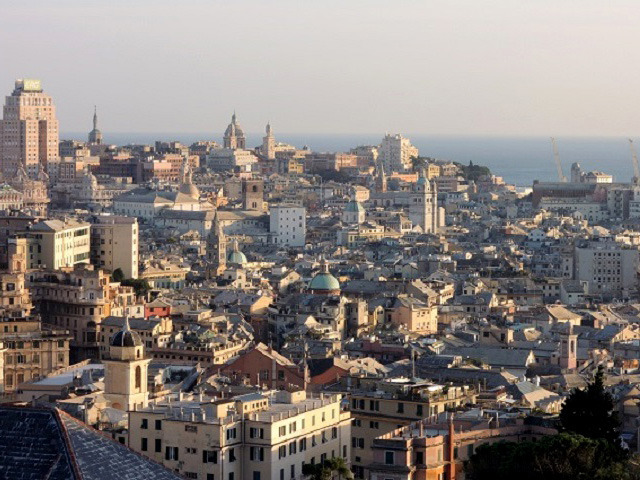 Genoa also benefits from this harsh geography. It has a statuesque harbour, with Europe’s largest medieval centre at its heart. The rest of the city rises high above that like the sides of an arena, linked by public elevators and endless stairways. The port then reaches around to one of the world’s highest lighthouses, the 16th century La Lanterna, looking for all the world like an art deco spaceship. 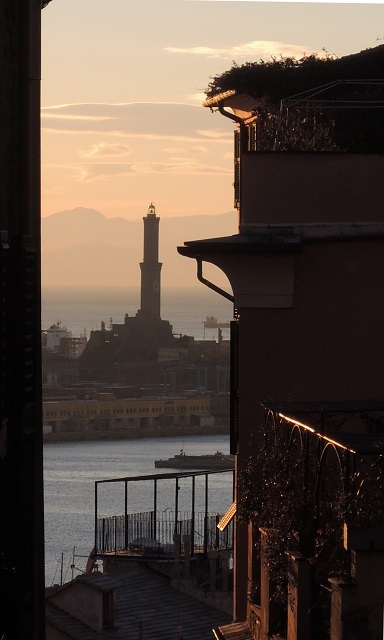 The tangled vicoli of Genoa’s medieval heart are where the real soul of the city lie. They are now safe and much cleaner than when Dickens lived in the city, describing their smell like ‘old cheese kept in warm blankets’. True, the vicoli are not as sanitised as the manicured tourist-friendly streets of Florence, but they are somehow more authentic, and a visitor can feel a real sense of achievement at finding a tiny church full of saintly bones and relics that Genoese warriors brought back from the Crusades. A reminder of Genoa’s glory days can be found in the Galata museum, where a powerful galley has been reconstructed. Before the great age of sail these fast, unstable craft were the battle tanks of the Mediterranean, crashing into each other at great speed and with flags whipping in the sea breeze. They also knitted together the great medieval Mediterranean economy, where Genoa and Venice plugged Europe in to the trade routes of the Silk Road – something that ultimately ended in tragedy thanks to Genoese sailors bringing the plague virus back to Europe from the Black Sea. The resulting Black Death killed around a third of Europeans. There are other splendours, such as the great Palazzi dei Rolli, enormous palaces built by Genoa’s wealthy to house passing popes, emperors and other worthies. But even more famous (and to my mind more remarkable) is the king of food in Genoa – genuine pesto sauce. This is made from locally grown basil, pine nuts, olive oil, garlic, and parmesan and pecorino cheese. In Genoa it is usually served – along with a lump of potato and some green beans – with little pasta twists known as trofie, and is as different from the pesto served around the world as the sun is different from a lightbulb. It is a vivid green with a burst of flavour to match. Sit down at a humble Genoese restaurant, tuck into a bowl of superb local pesto, watch the sun sink below La Lanterna, and wonder why more people don’t know about the wonders of this remarkable city. If you’re not already following Baglioni Hotels on Facebook, please stop by and Like our page. You’ll find lots of fun stuff there if you are an Italy lover. 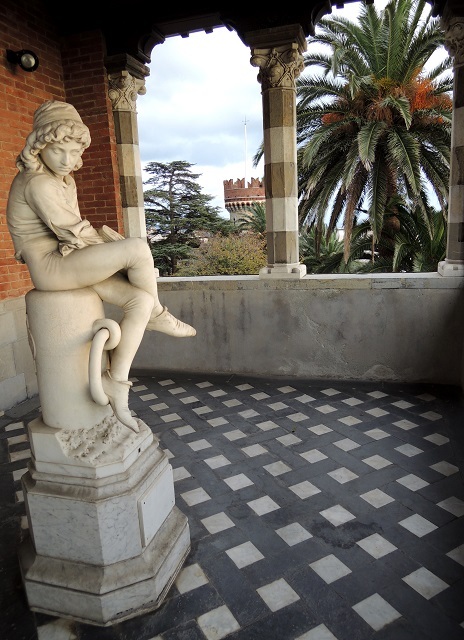 Concierge tip: Intrigued by Genoa? Then why not combine it with magical Punta Ala along the coast in an unforgettable city and beach combination. The Baglioni Hotel Cala del Porto offers a hidden-away gem in the relatively undiscovered Maremma region, with its own beach and more.